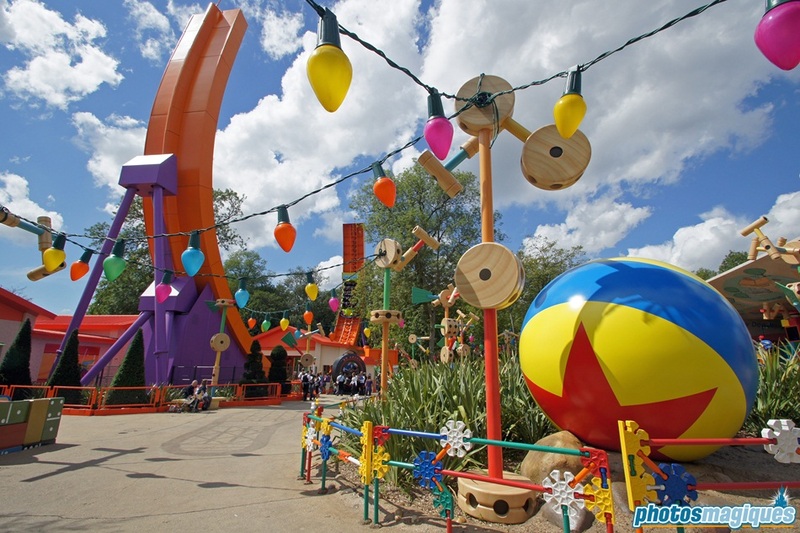 Today Toy Story Playland celebrated its birthday. 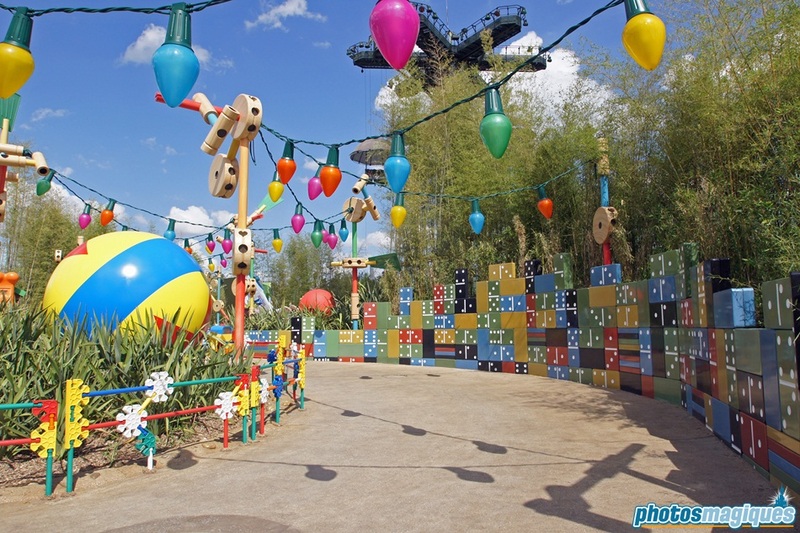 Exactly three years ago this mini-land with three unique Disney attractions, one shop and lots of themed props were added to the existing Toon Studio zone, on a grassy field next to the Studio Tram Tour Behind the Magic station. 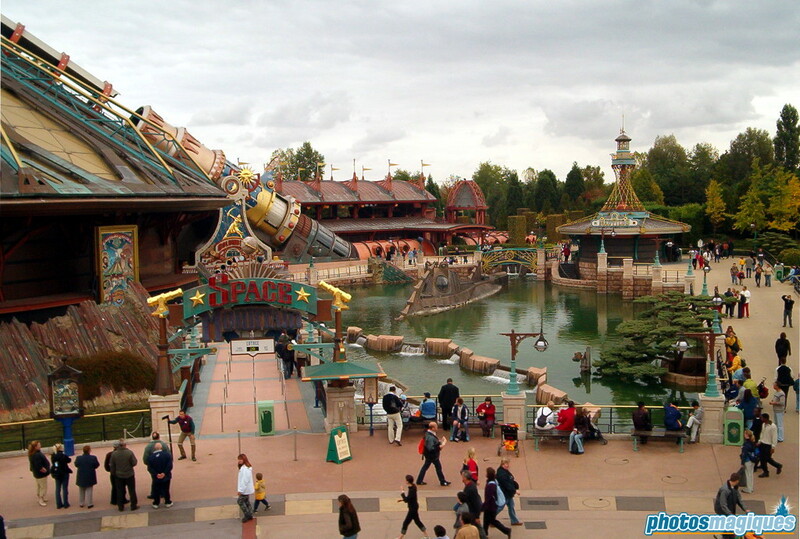 Around 2008 a former French website dedicated to Disneyland Paris broke news that three temporary, unthemed fun fair attractions would be installed in Walt Disney Studios Park to help with the struggling need for additional capacity. 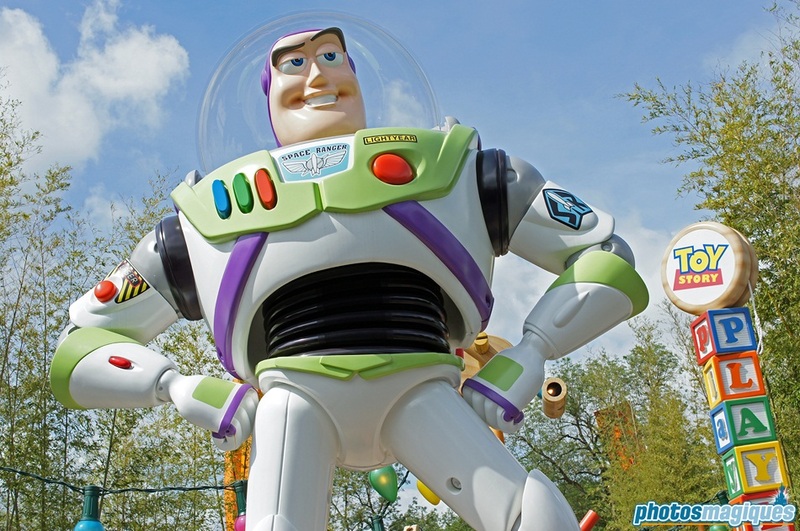 This rumor persisted for a long time, but was finally dismissed when plans where revealed to add an entire mini-land dedicated to the world and characters of Pixar’s first animated feature film. 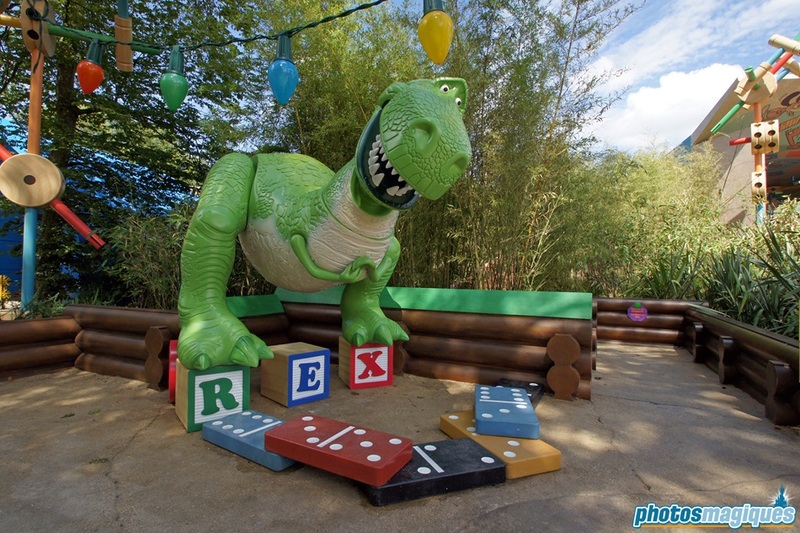 Plans for the land evolved over the course of months, from a flat version build on an oversized board game to the lush version with large bamboos and large Christmas lights. 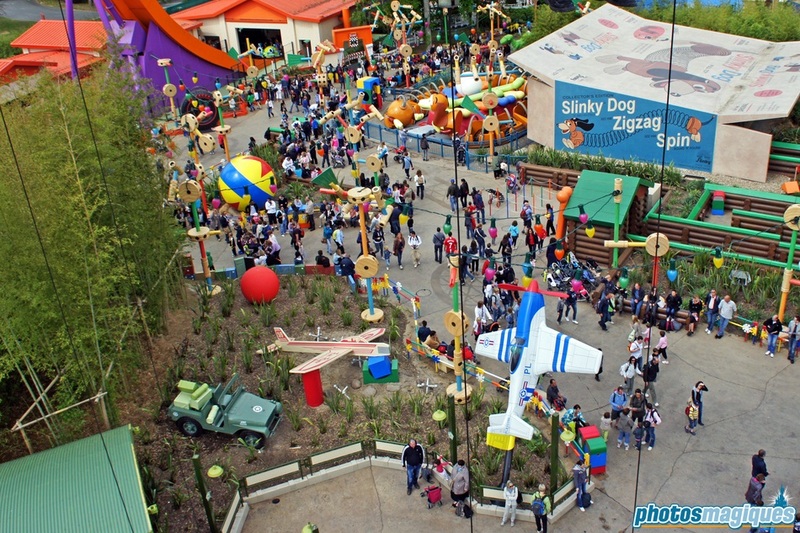 Even the number of attractions was changed as two RC Racer tracks were downgraded to just one and some for Toy Soldier Parachute Drop. A playground was also supposed to be part of the Fort Emery, was dropped as well. After the land opened in Walt Disney Studios Park it was adapted for Hong Kong Disneyland and there’s a rumor that Shanghai Disneyland might feature their own version as well. Happy birthday Andy and the Toy Story gang!